We know that "junk," wrecked or abandoned vehicles can leave your property looking cluttered and unsightly. Whether the problem is a car, motorcycle, truck, RV, van, trailer or other type of vehicle, our professional drivers and specialized equipment can handle it for you. Our drivers are trained and experienced, and will not only remove problem vehicles but photograph them and document violations as well. Available 24/7, we will consult with you about your needs and remove the nuisance vehicle or vehicles promptly. We also specialize in obtaining titles on abandoned vehicles when it is necessary. 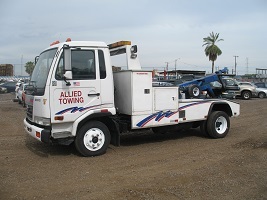 For over 25 years, Allied Towing has been removing problem vehicles from all types of properties, eliminating the stress and worry for our customers. 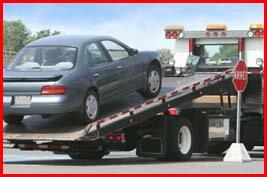 Call us today for all of your vehicle removal, towing and impound needs.